Be sure to read the APSL and the GPL, so that you will know your rights. Send any email regarding this document to proclus@gnu-darwin.org (Dr. Michael Love). Many thanks to rrp for building an Intel machine for GNU-Darwin-x86 production (and his work on the CD too)! Tip: There is some helpful hardware configuration information in the Mac Slash thread, on our CD support page, and on Apple's website. If you have additional questions after reading those documents, then post a message to Darwin-User. Install Darwin-x86. Check out our GNU-Darwin-x86 installer CD. Also, our Net installation instructions may be helpful, but do not run the software installation scripts. Instead, come back to this page, when you are ready to install GNU-Darwin essentials for Darwin-x86. Find the directory with the application you wish to install. Change to that directory and type "make install". If all goes well, then the ports system will automatically download the necessary files from the internet, compile the sources, and install the application. We have created a complete x86 package set to make life a little easier. Use "pkg_add -f URL" to install them. Be sure to read the package installation instructions (skip to step 4), but return to this page for the actual packages. In the case of the packages, there is still a small issue with the x86 suffix, but the porting system is unaffected by this bug. 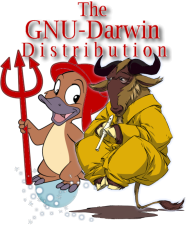 If you would like to install basic GNU-Darwin functionality, then download and execute this file. The basic installation is also available from the giant file server list. Just scroll down to 3.x86-Base Install. 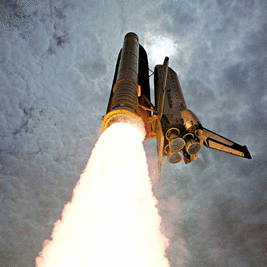 Columbia was the first reusable spacecraft, here depicted in its second launch. Similarly, the GNU-Darwin code base appears to be reusable for a variety of applications. 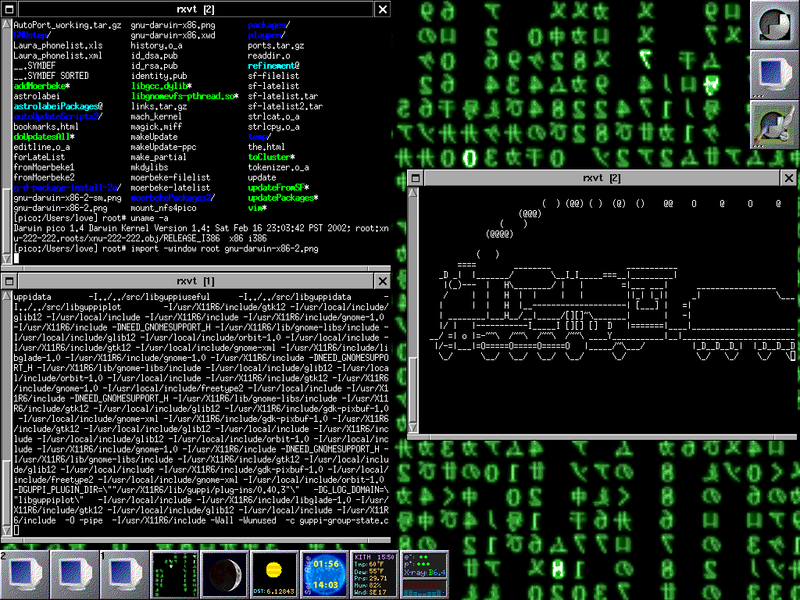 For example, we recently released ports tarballs for GNU/Linux and Tru64 Alpha. Now, we are finally bringing GNU-Darwin to the Darwin-x86 architecture, with little or no modification to our essential files. GNU-Darwin-x86 is GNU-Darwin itself, our second launch. Many thanks to NASA's excellent Astronomy Picture of the Day for providing such beautiful pictures on the web. All of the source code for the GNU-Darwin-x86 essentials is in CVS. If you are developing for GNU-Darwin-x86 or -ppc, be sure to keep an eye on our CVS news webpage. If you have questions, consult the following documentation, and adapt it yourself to the Darwin-x86 case.